Gift cards have been the most requested item on holiday wish lists for the past five years. Purchases made with a gift card are between 20% and 50% higher than the average purchase price. 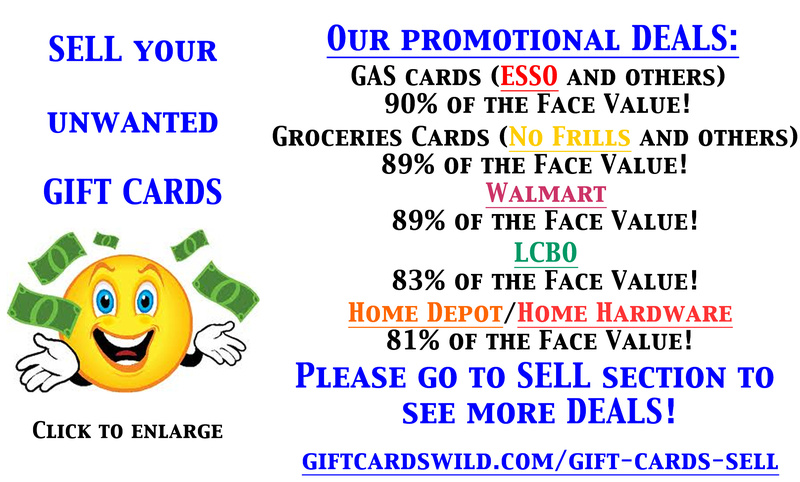 Gift cards are the most profitable square foot of selling space at many retail sites. Christmas is the top purchase occasion for gift cards, followed by birthdays and Mother's Day. 39.2% of shoppers will purchase a department store gift card for friends and family, followed by 33.4% of shoppers opting for a restaurant gift card. The most common gift card amount is $25. 40% of gift card recipients do not use the full amount on their card, and leave an average balance of $2.30. 45.8% of shoppers say they give gift cards because they allow the recipient to select their own gift. Between 2007 and 2013, $41 billion in gift cards went unused. 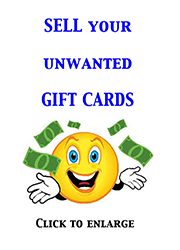 An average household holds $300 in unredeemed gift cards. Have you shopped at one of these top 10 online retailers lately? Canadians spend a lot of time online. A recent study found we Canucks are among the world's top Internet users,doing everything from streaming videos tohanging out on Facebook. The other thing we love to do is shop. Research published in Moneyville suggests, "online shopping in Canada is expected to grow by some 12 per cent to $18.5 billion this year." But where do we shop? Ebates.ca -- a new online shopping site for Canadians -- has the answer. Today, they released a list of the 10 most shopped at sites on the WWW. Have you bought anything from these retailers lately?